On the long road into town. Then go back to our own busy lives. 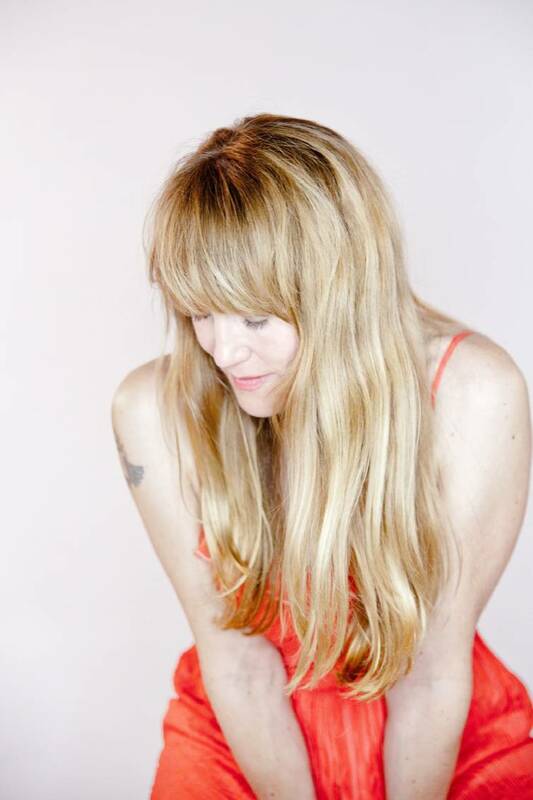 Angela Easterling describes her new single as "tragically, way too timely." That single, "Halfway Down," puts into words the feelings of sadness, outrage and horror expressed by the American public with each report of a mass shooting. The lyrics were inspired, in part, by October's mass shooting in Las Vegas at the Route 91 Harvest Music Festival. The title refers to flags being flown at half-mast. "I wasn't at the festival, but I remember so vividly waking up on that beautiful fall day and hearing of this unimaginable tragedy and thinking, 'Not again,'" Easterling says. "I had the idea for the song for quite some time — we live down the road from a fire station, and it has gotten to where it seems like their flag is at half-staff most of the time. This mass violence keeps recurring at such an alarming rate, but something about that day shook the rest of the idea loose for me and I wrote the whole song in just a few minutes." Coincidentally, "Halfway Down" was uploaded to the internet the same day the Stoneman Douglas High School shooting occurred in February. Easterling says the song is the first from an album she is currently working on. The Americana/folk/country singer will perform a lot of that new material when she comes to town for four performances Friday through Sunday, Aug. 31-Sept. 2, at Charles & Myrtle's Coffeehouse and several area markets. She performed a similar round of concerts here last August. The singer lives in South Carolina on her grandfather's farm with her partner in life and music, Brandon Turner, and their two sons. The boys are the 10th generation of her family to live on the family property. Turner will accompany her to Chattanooga and sing with her at her four shows. "He adds beautiful texture and solos with his lead guitar and harmony vocals, and sings a few of his own songs as well, which is a nice variation," she says. Earlier this year, Easterling was honored by the Kerrville New Folk Festival when she was named a Kerrville New Folk finalist for the fourth time. "All contestants get to perform their selected songs at the festival. It is a great honor, and so inspiring. I love going to Kerrville. All of the finalists are so unique and so talented and they and the audience feel like family. They really appreciate songwriters." She says she's hoping to finish her current project by the end of the year, but keeping up with two preschoolers, writing music and booking more gigs than ever makes it hard to find studio time. "I don't want to sacrifice quality to just get something out there," she explains. "I want it to be something I am proud of, so if it takes a little bit longer, so be it." As she's working, the album's theme is still coming together, she says, "although there is a lot on there about my experiences with motherhood/parenthood, life in this world today as a woman and the current political climate."